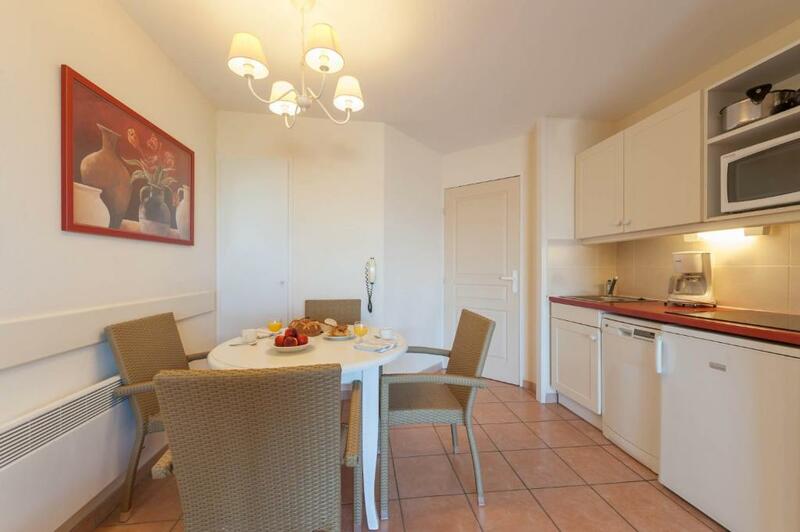 *Superb location, close to all the nice villages ( Gordes, Roussillon, isle sur la Sorgue, Avignon, etc ) *Park itself is beautiful, great amenities for kids ( waterslides, wavepool, kids farm, pony's, etc ) *The ' La Farigoule ' restaurant was really good. Good food and a very nice waitress. great amenities for kids: flumes, pools, rapids etc, and a lovely setting. Overall a good facility. Pools were clean and well stuffed by lifeguards. Bars and restaurants were easily accessible. Golf course was excellent. le cadre magnifique avec son arrivée par le parcours de Golf...et le centre est très bien réalisé accessible aussi bien en poussette qu'à pied. Chaque appartement ou maison est noyé dans un lieu de végétation. C'est apaisant, les activités en extérieur permettent d'occuper les enfants et les adultes. La disposition des lieux ressemblants à un village provençal tout en hauteur! Belle reconstitution d’un village provençal. État d’entretien exceptionnel des espaces vert du Domaine de Pont Royal ! 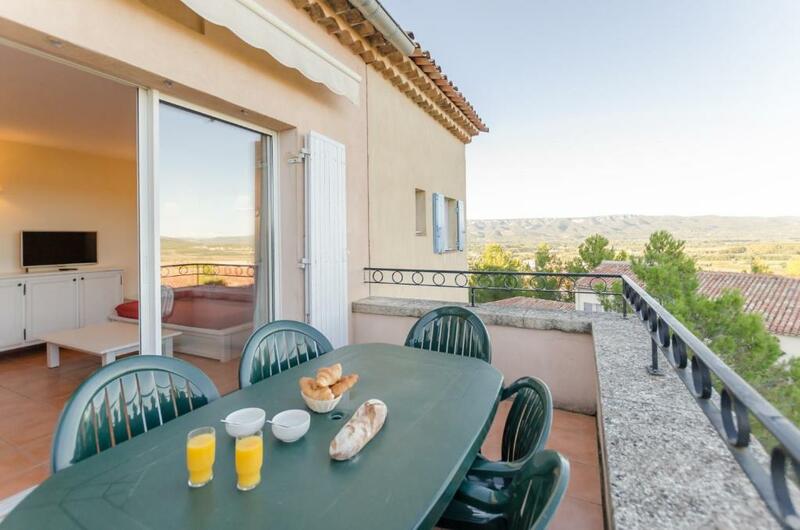 One of our top picks in Mallemort.This resort is located between the Alpilles and the Luberon, 19 miles from Aix-en-Provence and 28 miles from Avignon. It features residences overlooking the lake, the golf course or the surrounding hills. Located on a 180-hectare park, Village Pierre & Vacances Pont Royal en Provence features an Aquatic Area, consisting of a wave pool, swimming pools, water games for children, an artificial white-water rafting river and a paddling pool. 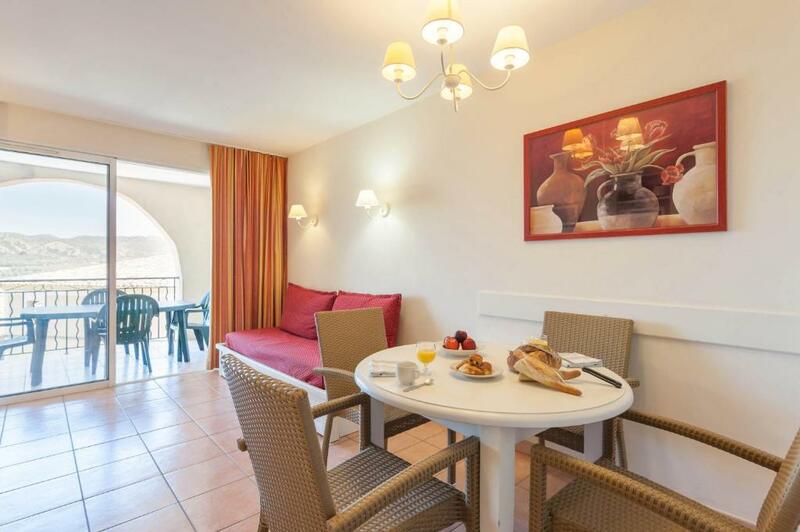 All the apartments and houses are fitted with a fully-equipped kitchen area, including a coffee machine and hotplates, and a terrace or balcony with garden table and chairs. There is also an 18-hole golf course and a horse-riding center. Guests have free access to the swimming pools, playgrounds and sport complexes. Daytime and evening entertainment is also offered, and a kids' club and a teenagers' club are also available with an extra cost. Guests will be invited to attend an information forum every Sunday (subject to change) in order to find out about the week's activity program. Regional theme evenings also take place and are an opportunity to discover traditional folklore, crafts and spectacles. 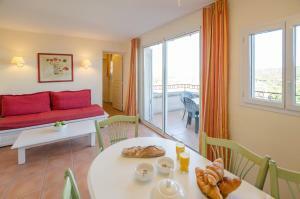 When would you like to stay at Village Pierre & Vacances - Pont Royal en Provence? This apartment features a living area with a double sofa bed. There is also a twin bedroom. The private bathroom has bathtub or a shower and the fully equipped kitchen opens onto the living area. This apartment features a living area with 1 single sofa bed which has a pull-out single bed recommended for a child and a sleeping alcove with bunk beds. 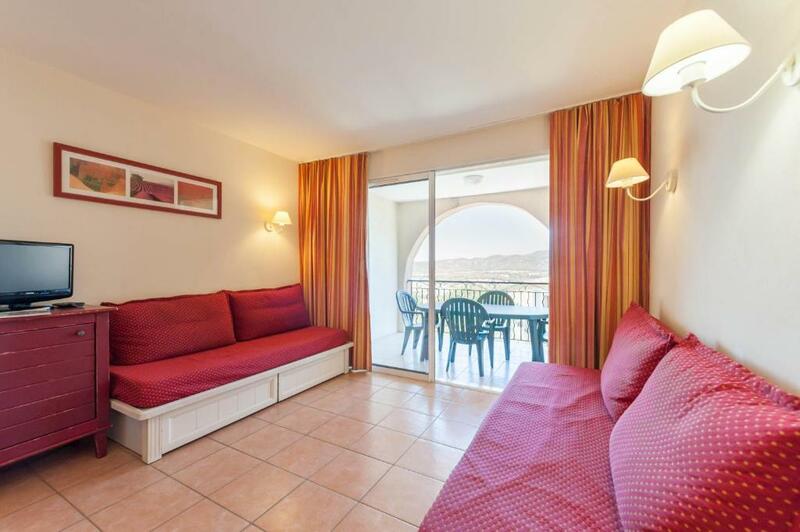 There is 1 double bedroom and a private bathroom with a bathtub or a shower. The fully equipped kitchen opens onto the living area. This superior house features a private garden. There is a living area with a single sofa bed and a single pull-out bed that is recommended for a child. There is 1 double bedroom and 1 twin bedroom. The private bathroom has a bathtub or a shower. The fully equipped kitchenette opens onto the living area. This apartment features a living area with 2 single sofa beds, one of which has a a pull-out single bed that is recommended for children. 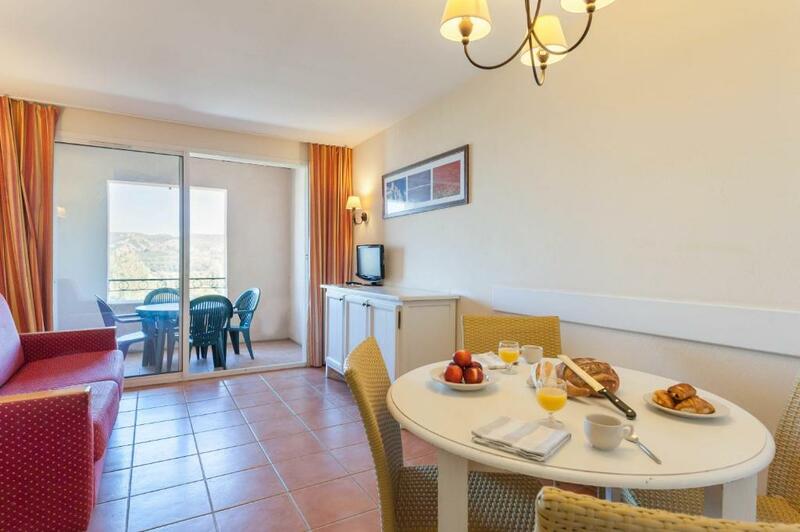 There is a double bedroom and a private bathroom with a bathtub or a shower. The fully equipped kitchen opens on the living area. This apartment features a living area with 2 single sofa beds and a sleeping alcove with bunk beds. There is a double bedroom and a twin bedroom. The private bathroom has a bathtub or a shower and the fully equipped kitchenette opens onto the living area. This superior house features a private garden. There is a living area with 1 single sofa bed which has a pull-out single bed recommended for a child. There is 1 double bedroom, 1 twin bedroom and 1 bedroom with bunk beds. There are 2 private bathrooms with a bathtub or a shower.The fully equipped kitchenette opens onto the living area. This house features a living area with 1 single sofa bed and 1 single pull-out bed which is recommended for a child. There is also a sleeping alcove with bunk beds. There is a double bedroom and a twin bedroom. There are 2 private bathrooms with a bathtub or a shower. The fully equipped kitchenette opens onto the living room. This studio features a living area with 2 single sofa beds, one of which has a single pull-out bed that is recommended for a child. There is a sleeping alcove with bunk beds. The private bathroom has a bathtub or a shower and the fully equipped kitchenette opens on the living area. This villa features a private swimming pool, a furnished terrace and garage (parking is included). The living area has a seating area. There are 2 double bedrooms and 2 bedrooms with 2 single beds. There are 2 private bathrooms with a bathtub or a shower. The fully equipped kitchenette opens onto the living room. This superior apartment features a view from an upper floor or more spaceous rooms. There is a living area with one double sofa bed and a bedroom with 2 single beds. The private bathroom has a bathtub or a shower. The fully equipped kitchenette opens onto the living area. This superior apartment features a view from an upper floor or more spaceous rooms. The living area has 1 single sofa bed and 1 pull-out single bed recommended for a child. There is a double or a twin bedroom. There is also a sleeping alcove with bunk beds. The private bathroom has a bathtub or a shower and the fully equipped kitchenette opens onto the living area. This house features a living area with a single sofa bed and a single pull-out bed that is recommended for a child. There is a double bedroom and a twin bedroom. The private bathroom has a bathtub or a shower and the fully equipped kitchenette opens on the living area. This apartment features a living area with 2 single sofa beds, 1 of which has a pull-out single bed that is recommended for a child. 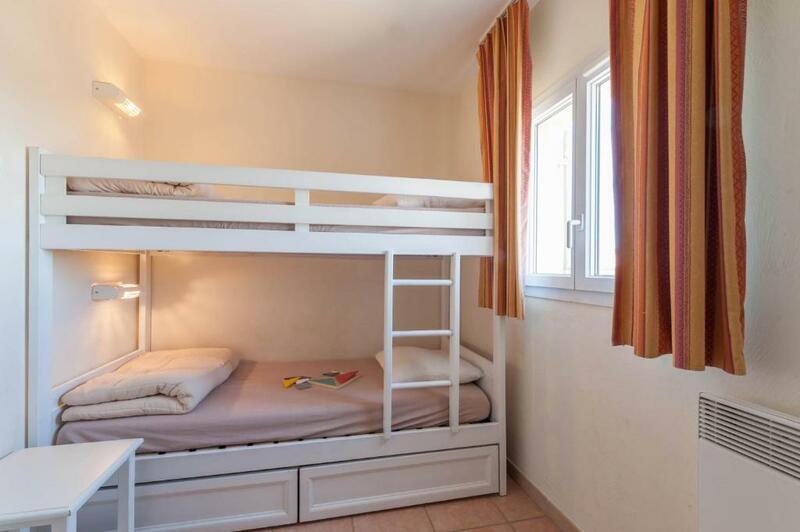 There is a sleeping alcove with bunk beds and a double bedroom. The private bathroom has a bathtub or a shower and the fully equipped kitchen opens on the living area. 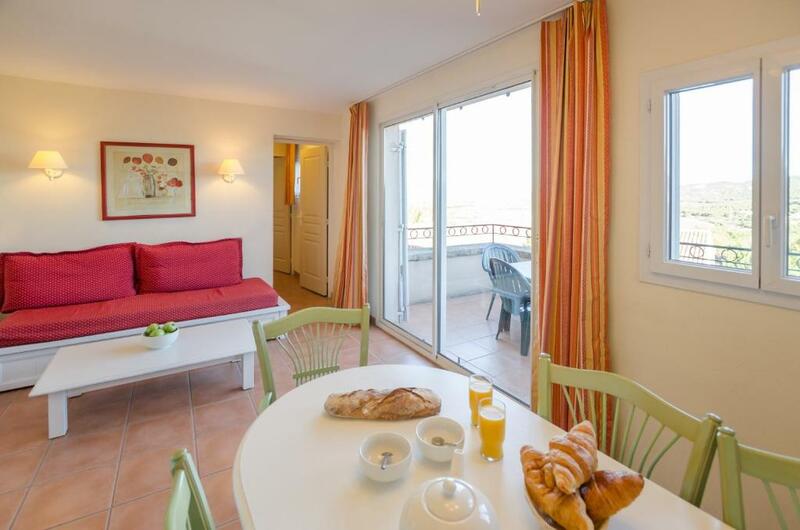 House Rules Village Pierre & Vacances - Pont Royal en Provence takes special requests – add in the next step! Other Village Pierre &amp; Vacances - Pont Royal en Provence accepts these cards and reserves the right to temporarily hold an amount prior to arrival. Village Pierre & Vacances - Pont Royal en Provence accepts these cards and reserves the right to temporarily hold an amount prior to arrival. Price include: bed linen, toilet linen, household linen (bathmat + dish towel), cleaning kit, basic WiFi basic access (up to 5 devices for navigation, e-mails reading and searches), charges and tax (except tourism tax and application fee), pool area + playing field/sport (except tennis and archery), basic animation : fitness, contest, parties. End-of-stay cleaning (excepted dishes and kitchen corner) is included. Available at an extra cost: beds made upon arrival and housekeeping mid-week. Please note that the heated and non-heated swimming pools are open from April to end of October. The Crazy River is open from mid-June to mid-September. A baby kit, suitable for children under 2 years weighing less than 15 kg can be requested at an extra charge. The kit includes: 1 cot without a mattress and 1 high chair, 1 changing mat and 1 pushchair. Subject to availability and prior reservation. A damage deposit of EUR 200 is required on arrival. That's about 224.14USD. You should be reimbursed on check-out. apartments were small and basic and in need of modernisation. No air conditioning was a struggle. No oven in the very small kitchen limited cooking options. * VIP house without airco ( impossible in a 38C heatwave ), very far from pool and restaurants and very small. Private garden area is cozy. * 1 set of small towels for 5 people without any change. We had to use them for showers and pool. * Dishwasher was broken, no kitchen towels available. * 2 rolls of toiletpaper for 5 people for 6 days * Flooring of wavepool needs to be repaired urgently, really hurt our feet. * We had a very rude ' welcome ' by a girl named Valerie at the reception. * Breakfast at the other restaurant on site was horrible, poor choice, horrible tasting eggs. Not to be recommended.